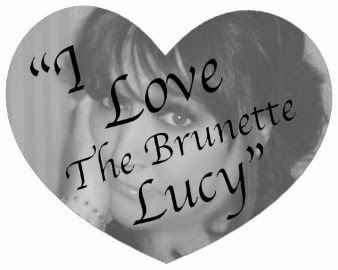 I have a Facebook page, Tamara Kells, The Brunette Lucy. Don't forget to go over there & "like" me. You'll be updated when my latest article gets posted as too often, it takes me a while to put it over here. As I was thinking about writing this, I remembered this post I wrote over a year ago. I thought it was worth re-posting as it's every bit as true now as it was then! LINKING & BLOGGING & TWITTERS, OH MY! I started this blog, not really knowing why. I’m a complete moron when it comes to all things technical. But, my husband, Matt, said it’s the thing to do. So, I just do what I’m told. Then, I got a “twitter” account on accident. I was trying to get in touch with the editor at the Inquirer. Since my article appeared there a while back, the head muckety mucks have changed. Well, he doesn’t post his email online. Instead, he has a link to his twitter thingy. I follow the link, & find out that I have to create an account to write to him. So, of course, I do what I’m told & did it. THEN, & I really don’t know how this stuff happens, I get an email saying that Gavin Newsom is following me. Following me where?? Anywho, I look into who this guy is & it turns out, he’s the mayor of San Francisco. Ok, I personally didn’t have that little tidbit of information – Michele told me. Thank God for good friends! Next thing I know, some guy named Dave Peck is following me. What am I; the Pied Piper?? I have no clue who that guy is, except that it appears he has some talk show on the radio. How in the world did these folks find me? All this leads to a conversation our family had about blogs & twitters while on the way to eat (ooh, ask me about the Chinese buffet we went to! Holy cow, they had everything under the sun to eat & we went there because for some reason both the girls decided to give up meat for Lent which is making me crazy especially since right before they announced their plan, I bought a bunch of meat that was on sale & now I have a freezer full of beef I can’t cook. Um, probably another rant. I’ll stop). Honestly, I can’t believe that this is where the English language is going. But I digress. I’m supposed to network through twitter to link to my blog, then get people to follow my blog, especially if they’re twitter people, because it’s supposedly the new “thing” to do, but “netiquette” requires me to then link to their blogs & twitters & follow them around. At this point, I got lost in the conversation. How do I link, why do I care, & why don’t people get paranoid when strangers are “following” them? Could I lead them off a cliff or something? It seems like a rather large responsibility to entrust to an idiot. Matt then summed up, kind of, how folks link to bunches of people. Apparently, they can throw out a virtual net & get a bunch of people on their “followers” twitter home page. Don’t ask me for particulars – I zoned out during the explanation. I have no clue why people link, follow, twitter & blog. I’ll leave all that technical stuff up to Matt. I just do what I’m told. OK, it's time for you to head over to my Facebook page & start following me around. Go. No, really, shoo. Off with you; go let me know that you like me, you really like me!